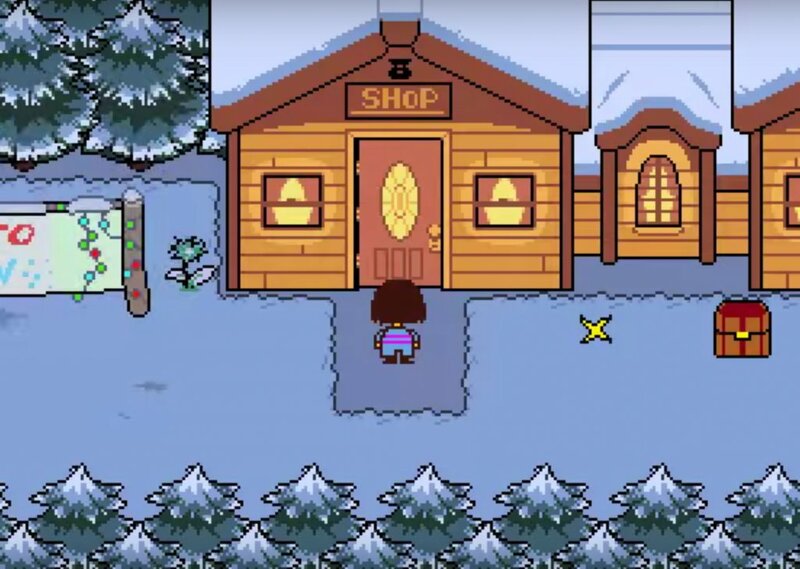 The cheery town of Snowdin! A light winter storm, a crackling fire, good friends... Snowdin Town, from the game Undertale. License details for "Snowdin Town"